Deal of the day: Ford Ecosport | What Car? The Ford Ecosport SUV was launched earlier this year as a rival to theRenault Captur, Vauxhall Mokka and Nissan Juke. high-up stance and low running costs. The Ecosport is not the best car in its class, but it is not without merits. It's fun to drive and offers a decent balance of precision and body control. It is also cheap to run, with this diesel version offering particularly appealing fuel economy. 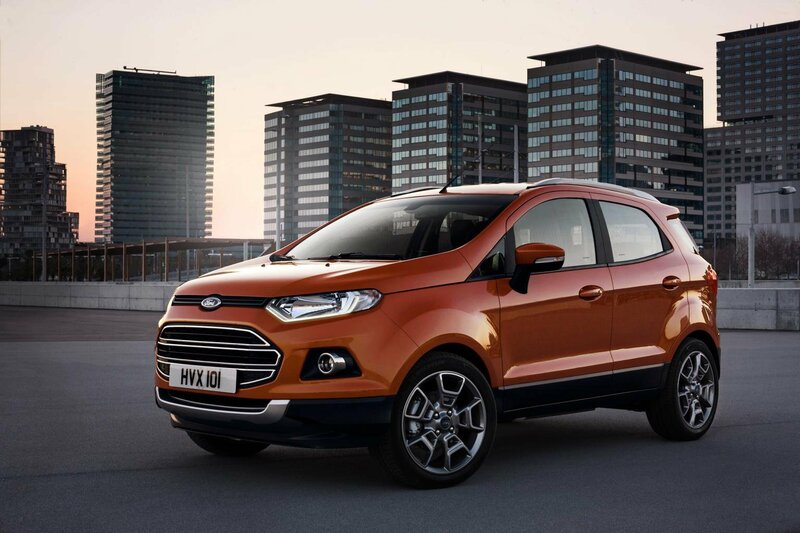 There are elements of the Ford Ecosport that demand a buyer must make serious compromises. The interior quality, in particular, is below par, and many of the materials used are unappealing. The side-opening rear tailgate is also a pain, as it makes it impossible to access the boot if you are parked close to a wall or another car. The beauty of this deal is that you don't have to. It's a Titanium X Pack car, which means it is loaded with enough kit as standard to shame many a luxury car. Early indications are that Ford Ecosport sales have been slow, hence the great deal on offer at Drivethedeal.com. It's hard to imagine discounts getting much bigger than the current 22 per cent off, so act fast.